Xiaomi already mastered the art of impressing its customers by provide value for money products to its customers. This has also provided major growth and success that Xiaomi has achieved in India today. Agai this time the company has surprised everyone by launching a power-packed smartphone for a totally unexpected price. 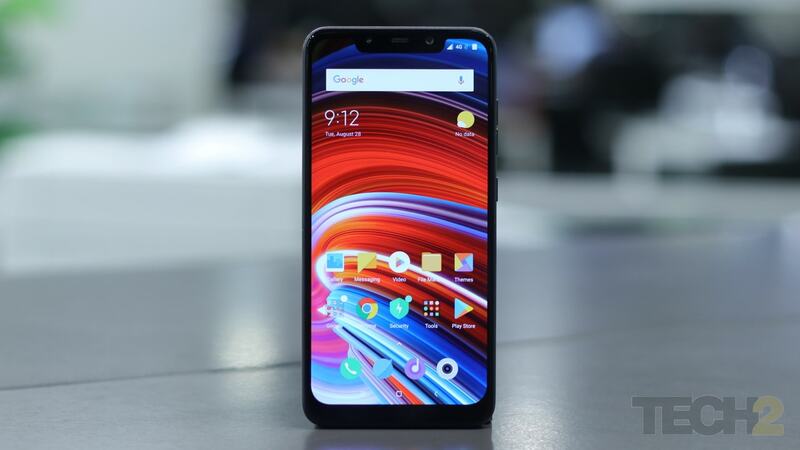 The Poco F1 by Xiaomi is a smartphone that comes with a Premium look and amazing specs and you would not believe its price. At the starting price of Rs 20,999 (on Flipkart), the Poco F1 not only shakes up the market of flagships and flagship killers but is also capable of bringing about a paradigm shift in our understanding of the word, “flagship”. Besides great internals, it does try to lean into the world of premium smartphone and scores well for trying. With the emphasis on durability and performance, Poco F1 is outfitted with a plain polycarbonate back. The choice of this limbo design, as per the company, is a voluntary decision which directs the focus to other features including a good camera, besides powerful specifications. The band covering the edges appears to be made out of brushed metal but that too is made of plastic. If you’re all for looks, you can spend Rs 1,000 over the top variant and choose the “armoured edition” with three layers of Kevlar, which should hoist your spirits and is likely to make the Poco F1 appear slightly premium. Separate volume up and down buttons and the power button are placed along the right edge of the F1 and the primary speaker and the USB-C port lie at the bottom. The buttons placement is convenient and the gap between volume and power controls makes it easy to differentiate between buttons. Had the power button been textured it would have made it more usable. The top of the Poco F1 carries a headphone jack while the Hybrid SIM tray is placed at the top left of the smartphone.